Father’s Day is coming up in less than 2 weeks! 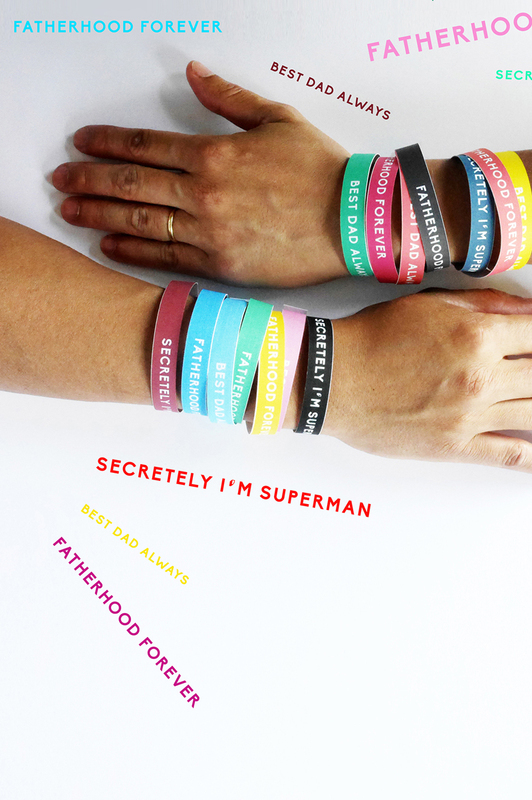 Show dad how special he is by filling his wrists with these awesome Father’s Day Printable Bracelets. They’re the guy equivalent of a corsage! So fun. 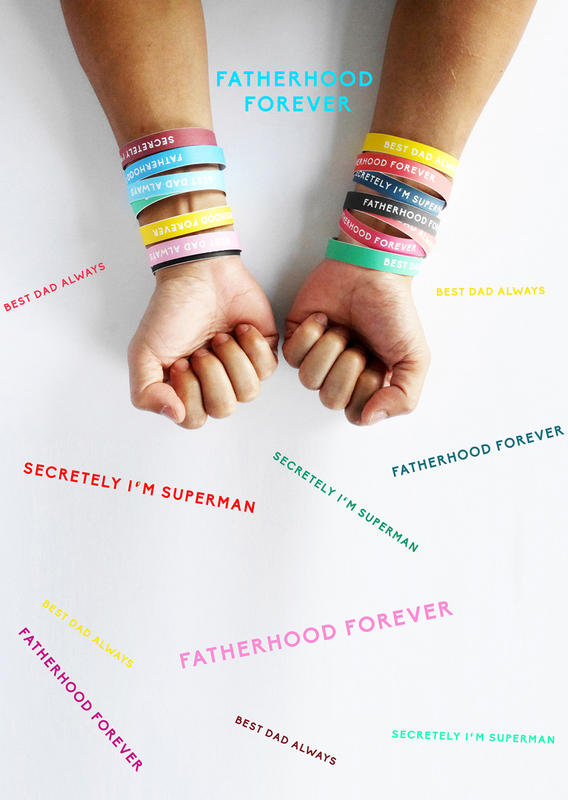 An arm full of these bracelets will let dad know that he is loved all day long. 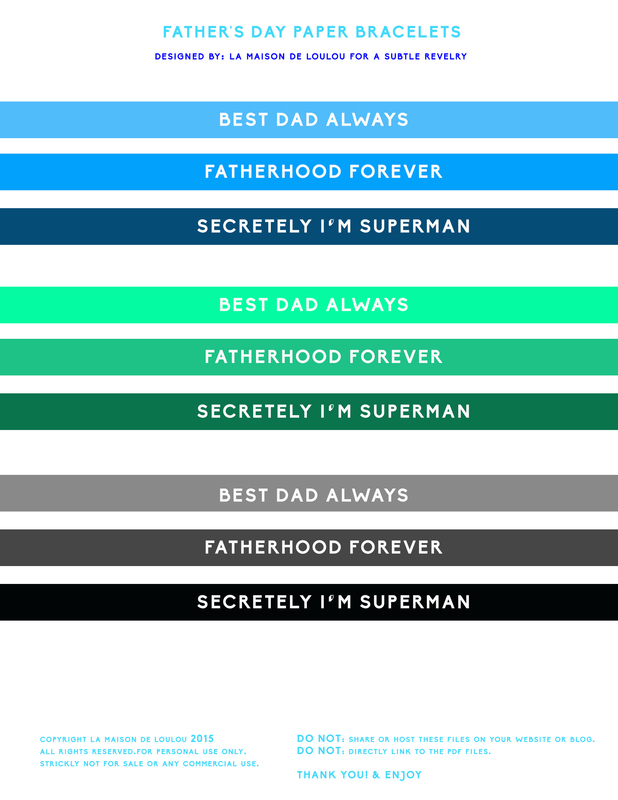 Print out a couple for every dad you know, or print out forty to fill your the arm of you own secret superman. 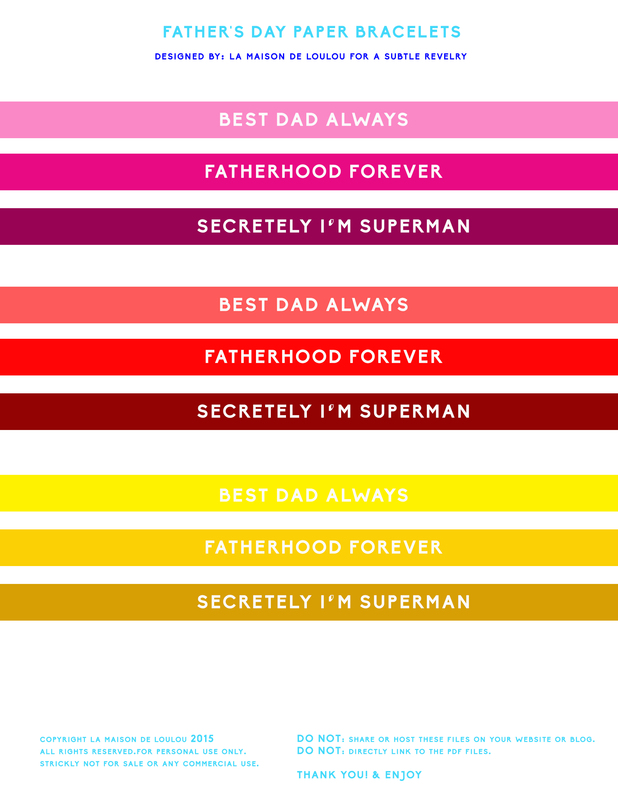 Our printable Father’s Day bracelet sheets here and here. 1. 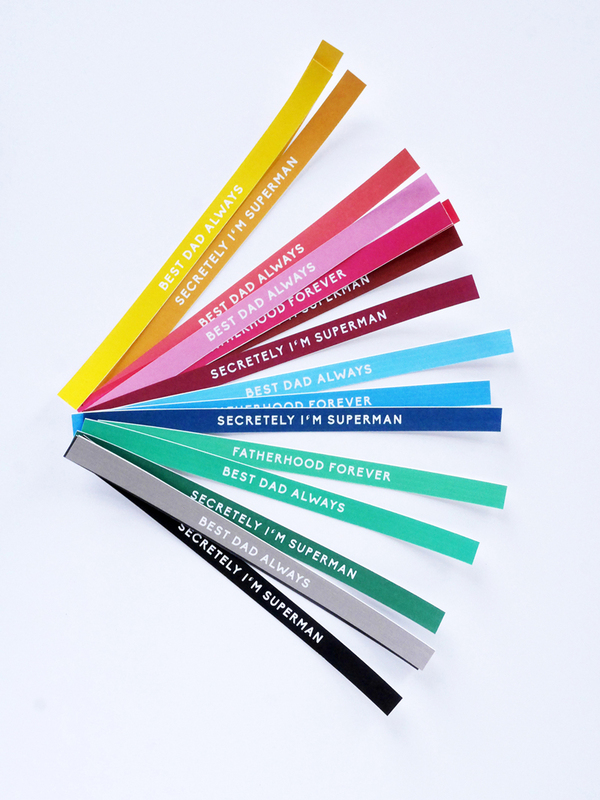 Print out the Father’s Day bracelet printable via the links above. Download the printable to a computer and print. 2. 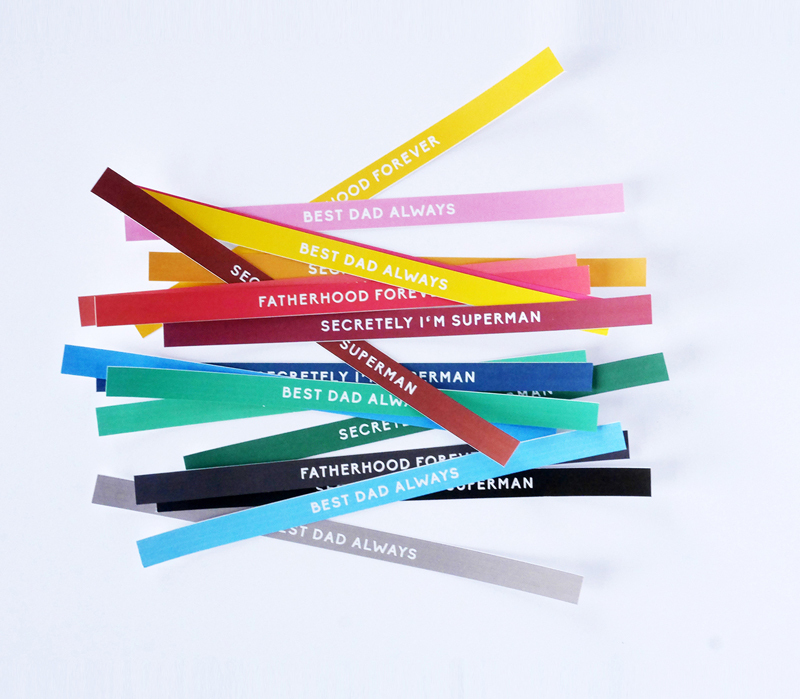 Cut each bracelet out and attach with a small piece of tape to secure to dad’s wrist. A set of encouraging wrist wraps and maybe a plate of meat is all you need for a Father’s Day done right this year. 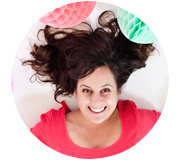 (Graphic design + printables @A Subtle Revelry by Marie-Laure Pham). But “secretly” is spelled wrong.